Effects Aftereffects and diplomacy involved. NOTE: If you don’t want to read the entire article the gist is given in bold to get a general idea of what this is about. This program might be the most important defence project going on right now. Reasons for coming into existence are numerous. On a broad scale we can say that USA was spending fortunes to keep up and maintain their radar evasive(stealthy) F-22 raptor. Its per hour flying cost is way beyond affordability. The stealth fails during rainy seasons. Large number of units cannot be inducted because per unit cost is way more than any other air superiority fighters. A navel version of deep penetration capable aircraft with high survivability is the need of time. A plane is needed by USAF that can strike deep within enemy territory and still remain undetected and can be carried on an aircraft carrier(and VTOL capability). Having said that it is a point worth noting that aircraft carriers are said to be the pride of US armed forces. If the raptor goes to the hands of the enemy, the loss which USA will be at risk of suffering will be unimaginable in magnitude. The Research and Development cost, time, effort and intellect invested for over 40 years will go down the drain. Multirole fighter planes add to over battle preparedness than the specific type of plane. That said it would come in handy to take under consideration requirements of many nations so that need for all of them can be considered. Picture of an F-35 given above. JSF evolved to an international co-development program. The United Kingdom, Italy, The Netherlands, Canada, Norway, Denmark, Australia and Turkey have formally joined the U.S. and contributed money toward the program. These partners are either NATO countries and/or close US allies, and peacekeeping and war fighting more recently have been done by coalitions. The reason to have all of these countries in co-development with the US is that there is currently a big difference in the type of equipment that they fly. Although some countries fly equipment similar to the USs, others fly equipment that is less capable. With JSF, they can all fly the same airplane; as a coalition, they can all be the same. With this in mind, the U.S. invited these eight countries to participate in developing the airplanes. That is to say, they are not just participants to buy the airplanes. They will participate in the design, build, and test of the airplanes. This is a marked difference from past programs. And of course, there is expectation in industry of the economic benefits associated with being a part of a big program. With such economic opportunities at hand for the various aerospace companies, it was in most cases the ministry of trade  not the ministry of defense  that cast the deciding votes to join the team. The JSF Security Cooperation Participation (SCP) concept developed requiring ~$50M investment per country. The goal is to provide an opportunity for friends/allies to participate in JSF with goal and to be well informed customers in the process. The SCP consists of JSF vision/framework formalized in a National Armaments Director NAD-to-NAD Letter of Intent (LOI). It also consists of JSF business details formalized in a Foreign Military Sales (FMS) Letter of Offer and Acceptance (LOA). SCP dialogue was conducted goverment-to-government; Singapore and Israel are participating under the SCP designation. Eight countries agreed to invest a total of $4.375 billion over 10 years in the $25 billion Joint Strike Fighter program. Britain pledged $2 billion, and is the only “Level I” partner in the program. Italy has pledged $1 billion as a Level II partner, and the Netherlands has also pledged to invest $800 million, also becoming a “Level II” partner. The “Level III” partners include Canada [which pledged $150 million], Denmark [$125 million], Norway [pledged to invest $125 million], and Turkey [pledging $175 million]. Australia also expressed interest in the program. Australia In late June 2002 the Australian Government decided buy Joint Strike Fighter aircraft. Australia intends to buy up to 100 aircraft, at a cost of more than US$ 4.5 billion [$8 billion Australian], to replace Australia’s aging F/A-18s and F-111s. In October 2002 Australia committed to provide $150 million for development of the F-35. Eight nations have pledged about $4.5 billion to join the United States in the $25 billion development phase of the program. Belgium In February 2009 manufacturer Lockheed Martin Corp. said Finland and Belgium had become the latest countries to speak to the Pentagon about possible purchase of the multinational F-35 Joint Strike Fighter. Denmark On May 28, 2002, Memorandum of Understanding documents were signed by the Danish National Armaments Director and the Under Secretary of Defense for Acquisition, Technology and Logistics, committing Denmark to participation in the Joint Strike Fighter (JSF) system development and demonstration phase. The commitment spans a period of 10 years. Finland In February 2009 manufacturer Lockheed Martin Corp. said Finland and Belgium had become the latest countries to speak to the Pentagon about possible purchase of the multinational F-35 Joint Strike Fighter. Greece Greece received F-35 briefings from the US government in 2009. Japan On 19 December 2011 the Japan Ministry of Defense has announced its selection of the Lockheed Martin F-35 Lightning II as the Japan Air Self Defense Forces (JASDF) next generation fighter aircraft, following the F-X competitive bid process. The F-35A conventional takeoff and landing variant (CTOL) was offered by the United States government with participation from Lockheed Martin. The initial contract will be for four jets in Japan Fiscal Year 2012, which begins April 1, 2012. A total of 48 aircraft are part of the initial purchase. Netherlands On June 17, 2002, the Netherlands also committed itself to the JSF’s system development and demonstration (SDD) phase by exchanging with the Department of Defense memorandum of understanding (MOU) documents. These MOU documents were signed on June 5, 2002, on behalf of the Dutch Cabinet at Soesterberg Airbase (NL) with the Under Secretary of Defense for Acquisition, Technology and Logistics countersigning the MOU documents in Washington, D.C. on June 10, 2002. As a result, the Netherlands will invest $800 million [ 848 million] in the SDD effort. The Netherlands has been part of the JSF program since 1997. The Netherlands became the fourth country to join as a JSF SDD phase partner, and the first ‘Level 2’ partner. The Dutch commitment spans ten years. For the previous two and a half years, the Netherlands had conducted a rigorous technical and financial analysis of potential candidates to replace its F-16s. In both assessments, the JSF ranked first. The Netherlands selected the U.S. plane as the best candidate to replace 85 older aircraft in December 2008. Norway On June 20, 2002, the Norwegian National Armaments Director and the U.S. Under Secretary of Defense for Acquisition, Technology signed memorandum of understanding documents committing Norway to participation in the Joint Strike Fighter system development and demonstration (SDD) phase for a period of ten years. Norway dealt Saab a blow in November 2008 with a contract for 48 F-35s in a contest analysts predicted the Gripen would win. Singapore Singapore appears likely to buy an initial batch of as many as 100 F-35s in 2014 for delivery in 2016, two years after Israel. South Korea South Korea received F-35 briefings from the US government in 2009. Spain Looking eventually to replace its Harrier jump jets, Spain has had a contractual study in place since late 2007. Turkey On July 11, 2002, the Under Secretary for Defense Industries of the Turkish Ministry of Defense signed a $175 million memorandum of understanding (MOU) for Turkish partnership in the Joint Strike Fighter (JSF) systems development and demonstration (SDD) phase. Turkey had taken part in the JSF’s concept demonstration phase (CDP) to begin its association through foreign military sales for $6.2 million. As a CDP partner Turkey gained significant insight into the program concepts and requirements definition and participated in various capabilities modeling and simulation events. Included in these efforts was a life cycle cost control study, an important area of consideration for the Turkish Air Force that examined the changes to Air Force logistics that should be accomplished to support their JSF aircraft. As a Level III partner, Turkey will participate over the the 10 years of the systems development and demonstration phase. The fact that has to be understood over here is that every partner/importer is not viewing the plane with the same. For some it is question of maintaining superiority over the regional skies[Israel] and others it is the tool that can change the scenario into their favour[Kuwait]. Similarly for some other nations it is the second line of defence that would act as a stealthy placeholder and assist/compliment their air superiority aircraft [India]. Here is a special analysis of the entire thing. To America, that is likely to lose air superiority that was brought to it by raptor due to PAKFA of Russia and even more advanced FGFA of India[NOT THAT IT IS A THREAT], it is like a weapon that can be mass produced and give an enormous numerical edge to assist the F22R. In front of these fighters if USA wants to stand a chance it has to take the numerical superiority and outnumber it something like 1:10. Almost 2500-2800 F-35s will be inducted into various squadrons and enterprises of air force and navy. 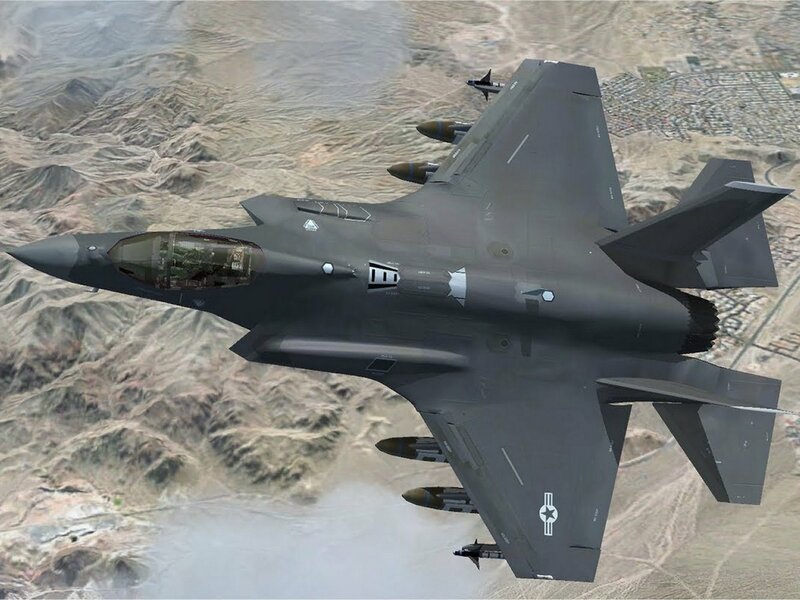 However to smaller countries like Israel that is surrounded with barbaric and medieval minded Arab countries that exhibit war mongrel characteristics, F 35 will be a qualitative edge that will be seconded by F 15 eagle to maintain the supremacy over Middle Eastern skies. Israel is not interested in the source code or even the mechanism. It just wants to be a well-trained end user. In maximum probability it will replace its vintage but out-dated F 16s [A/B/C/D/E/F/VIPER]. To counter balance this Turkey has decided to procure 100 F 35s and hence has become the third level procurement partner. It knows about the program definition and objectives. It is currently not interested in any ToT (transfer of technology) or even licence. Turkey now is a typical Islamic regime and huge differences are there between their government and armed forces. It has been kicked out of European Union and Israel has decided to end all relations with it. Its main objective behind the procurement is to neutralise the pressure the democracies will be putting on it not to form military Islamic regime. Besides that it also wants to project its power. Speaking of power projection, many other countries will need to do the same. To Japan and UK it will be serving, besides power projection another purpose. Both the nations have a glorious history of commanding a very lethal navy. An aircraft carrier battle group is the most crucial mechanism of any navy. Fighter plane to an aircraft carrier bears the same relations as teeth to a wolf. The most advanced VTOL (vertical take-off and landing) aircraft in service today is the sub sonic sea harrier. Besides being subsonic and non-stealthy, it has host of other issues. In modern battles all the countries will try to target the opponents’ runways with cruise missiles. Thus STOL (Short take-off and landing)/VTOL become even more crucial. Now coming to the world’s largest defence market, India. Reports suggest that USA has approached Indian government several times and got positive response. Within a span of 5 years India is expected to have 5 to 6 aircraft carrier battle group. However besides being an efficient manufacturing plants meeting such a big demand for aircrafts is a real challenge. Thus to ease the pressure, suggest experts, India may go for JSF. However to get hold of this deal Lockheed has to take care of following things as getting Indian deals are not easy to get hands on!! They want full transfer of technology as well as licence (to indigenously manufacture it) and source codes for software. The clearances and the clean chits that are required for induction any weapon to Indian inventory are way more stricter than any other country in the world as they need to meet highest quality standards and battle readiness in the world. From worlds coldest battleground to highest battleground and from deserts to plains that India’s varied geography offers the weapon must perform with perfection and precision in most extreme conditions. Besides the above mentioned problems Indian market is very competitive and only the world’s best are able to get hands on it. Recent example of MMRCA was a good example. (Will be presenting an article on this soon) The France’s best fighter that happens to be most costliest also got selected and India will be taking Full TOT( codes, formulas, mechanisms, manufacturing licence) for 20 billion US$. It is France’s best frontline 1st line fighter but for India it will be 3rd line of defence and it will manufacture in four times the number that France does possess. All the world’s best companies came with their best products but only the best of best got through. South Korea is yet another Asian country (beside India and Japan) that may be benefited by having a lightening in its inventory. It has got severe threat from North Korea that wants to wipe it off the map. It has disputes with China over border and territorial waters. Upgardation of inventory is also needed of late. This article cannot be completed without thanking Indian Defense Review and Global security from which little bit has been referred. Posted on April 26, 2012, in Aviation, Geo-Politics and tagged 1962, 1971, admin, Agni-V, air, Anthony Quinn, army, australia, belgium, bharat, bollywood, britain, Canada, China, denmark, england, finland, great, greece, Islam, israel, italy, japan, Lockheed Martin, Lockheed Martin F-35 Lightning II, Netherlands, nitherlands, Pakistan, powerful, Saudi Arabia, singapore, south korea, spain, turkey, united kingdom, United States, United States Air Force. Bookmark the permalink. 5 Comments.